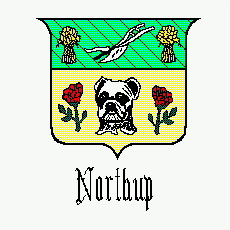 Josiah Northup was born the son of Rev. Emmanuel and Phebe (Brown) Northup on 12 Apr 1779 in Connecticut. He married Lucy Gunn (b. 29 April 1784 in Massachusetts, d. 10 June 1855 in W. Oneonta, Otsego Co., N.Y.; Burial: Cook Cemetery W. Oneonta, N.Y.), daughter of Samuel and Sarah Gunn. They had nine known children. When Josiah was a child, the family moved to New York but they traveled freely back and forth between Ct and NY. Josiah and Lucy started their family in New York but eventually moved back to Connecticut for good. Marty Irons has found this will in the Otsego County records. Burial: Cook Cemetery W. Oneonta, N.Y.
Ximena A. Tyler (b. 06 April 1812, d. 15 November 1886 in Leon, Wi) d. 01 October 1885 in Leon, Wi.